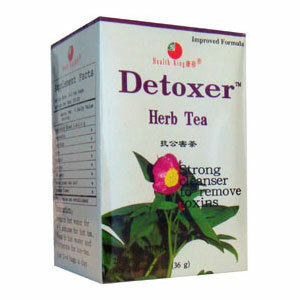 Detoxer Herb Tea, is made of wild honeysuckle (lonicerae flos) and cimicifuge. They provide baicalin, chlorogenic acid, luteolin, lonicerin, inositol, cimigenol, cimigenol xyloside, etc. Traditional Chinese medicine uses them to remove toxins from environmental pollution. Remove toxins from environmental pollution.